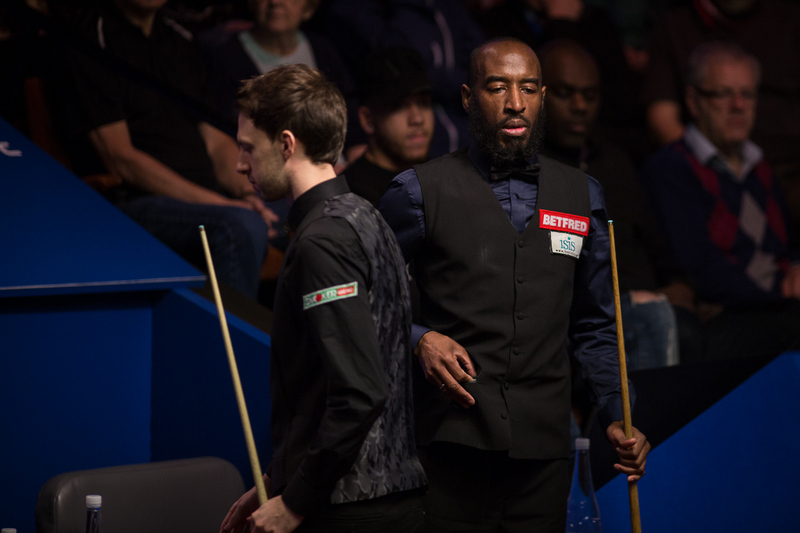 Rory McLeod registered a massive shock in the first round of the Betfred World Championship by beating second seed Judd Trump 10-8. 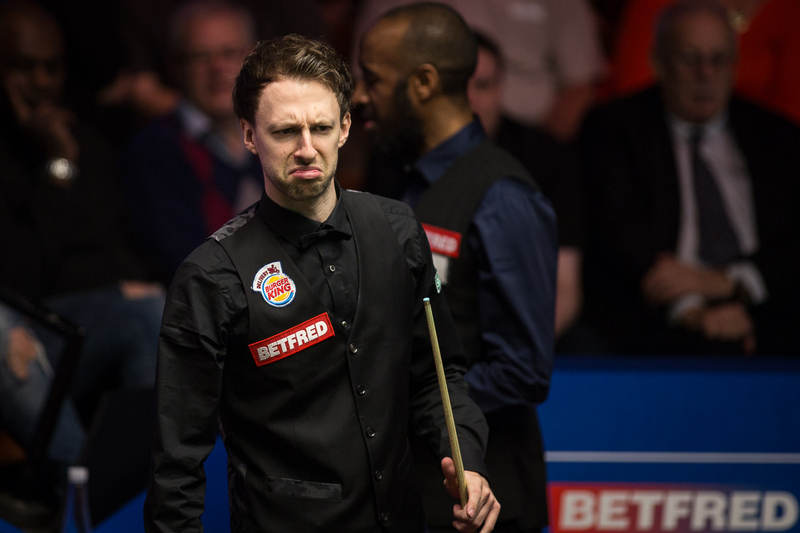 World number 54 McLeod’s victory over a player 52 places above him in the rankings stands alongside the biggest first round upsets in Crucible history, including Tony Knowles’ defeat of Steve Davis in 1982 and Michael’s Wasley’s win over Ding Junhui in 2014. Other than Mark Selby, Trump had been the best player of the season so far, winning two titles and reaching three other finals. The 27-year-old from Bristol was clearly confident in his chances of winning a first world title during the build up to snooker’s biggest tournament, but his hopes were dashed at the first hurdle. Hindered by an injury to his right shoulder, Trump squandered an early 4-0 lead and struggled to deal with the challenge of gritty McLeod. A slow-moving match was pulled off this afternoon with the score at 9-7, and tonight it was McLeod who held his nerve to get the frame he needed. The 46-year-old from Wellingborough, the oldest man in the tournament, is through to the last 16 in Sheffield for the second time in his career, and now meets Stephen Maguire. He won a televised tournament – the Ruhr Open – for the first time last season but this is undoubtedly the best result of McLeod’s career. When they got back to the table tonight, Trump came from 29-0 down to win the first frame, making the score 9-8 and raising his hopes of a fight back. McLeod had first chance in frame 18 and made 36 before missing a red to a baulk corner. Trump had one more chance but missed a red to the same pocket and could only sit and watch as his opponent added 26 to seal victory. “It’s the best win of my career, to beat Judd Trump on centre stage is brilliant,” said McLeod, whose parents are Jamaican. “I’ve always known I’m capable, it’s just actually doing it, we can all say we’re brilliant but it’s actually producing it when you need too, happily I’ve done it today. “Judd was giving me hammering at 4-0 but when I got my chances I just potted the ball I was on. “I was sweating before we went out there tonight, my mind was just going all around trying to work out a scenario of how I’m going to do it. Judd’s quite capable of winning two or three frames in a row. “Early in the match it didn’t look like he had an injury to me, he was potting balls from everywhere. I’ve got to deal with it out there, I’ve got to hold myself together, being the oldest player left in the tournament. At 46, we have our aches and pains, you have to look after yourself. “I don’t see myself as the old man, age is just a number, it’s how you look after yourself. I’m enjoying every second of it at the moment. “I can’t wait to see the Mrs and the kids, they must be overwhelmed and ecstatic like I am. “I never feel pressure, I just try and get on with it. Pressure is going to come and hit me in the face and it’s best not to think about it – just try to pot the ball that you’re on. “I enjoyed being out there and potting the winning ball, then you can look back and enjoy the whole match, you go through so many different emotions.